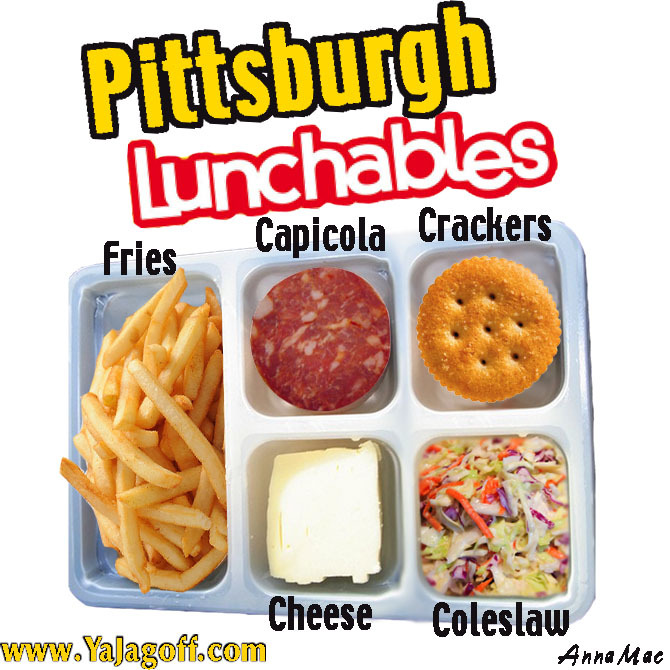 In Pittsburgh, every child should learn the basics of EATING in Pittsburghese. We’ve made it easy. Yes, the crackers should really be some form of italian (EYE-talian) bread but it would be hard to keep that fresh. So we would slowly have to ease the children into fresh bread. Besides, giving them fresh bread vs. a piece you pull out of the bread bag and pick off the small speck of mold after looking over both shoulders as you make their school lunch, would simply just spoil them too early. As you can also see, the portions are controlled. There is no way to over eat, i.e, order double capicola. The only items seeming to be missing in this balanced meal is a mini Prantl’s Almond Tort cake! Next up, teaching kids how to make the traditional Strawberry, cream cheese and pretzel salad!! It MUST be healthy, it has strawberries in it! But no juice boxes of Iron City Light! Thanks to Anna Mac for her genius-ity on the Photoshop work. 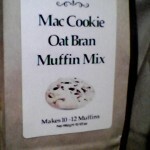 Make sure you click on the MaryMac Bakehouse pic for all natural baked goods. If You Build it, I Won’t Come! Wanna Have Beers With Bryan Trottier? ?